<b>THE 2019-20 EDITIONS OF THESE TWO BOOKS ARE NOW BEING PRINTED AND WILL BE AVAILABLE AROUND THE THIRD WEEK OF MAY. 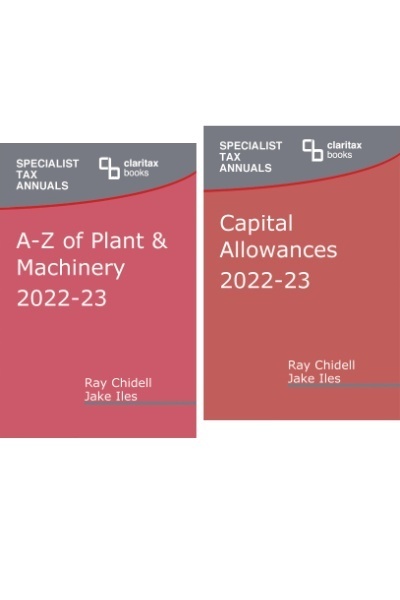 THEY MAY BE ORDERED NOW FROM THIS PAGE.</b><br> <br> Capital Allowances and the A-Z of Plant & Machinery, published as a set, are designed to be complementary and are our most popular "bundle". <br> <br> <b>Capital Allowances</b> contains full details of all the rules, with plenty of worked examples. 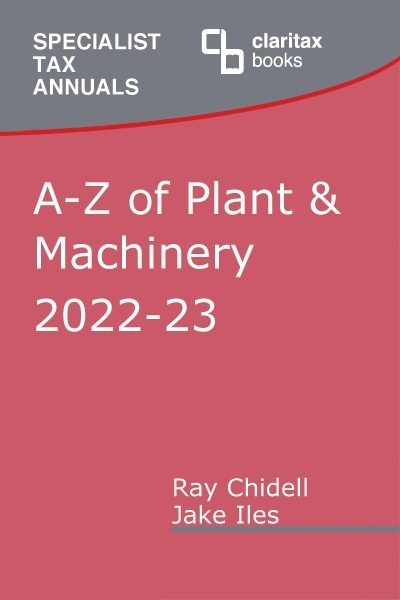 <br> <br> The <b>A-Z of Plant & Machinery</b> contains over 300 explanations in relation to particular assets - showing whether or not they qualify as plant, with full reference to legislation, case law and HMRC guidance material.<br> <br> Visit the individual book pages for full tables of contents and to view extracts from the books.<br> <br> Save £45 by buying the two books together. THE 2019-20 EDITIONS OF THESE TWO BOOKS ARE NOW BEING PRINTED AND WILL BE AVAILABLE AROUND THE THIRD WEEK OF MAY. THEY MAY BE ORDERED NOW FROM THIS PAGE. Capital Allowances and the A-Z of Plant & Machinery, published as a set, are designed to be complementary and are our most popular "bundle". 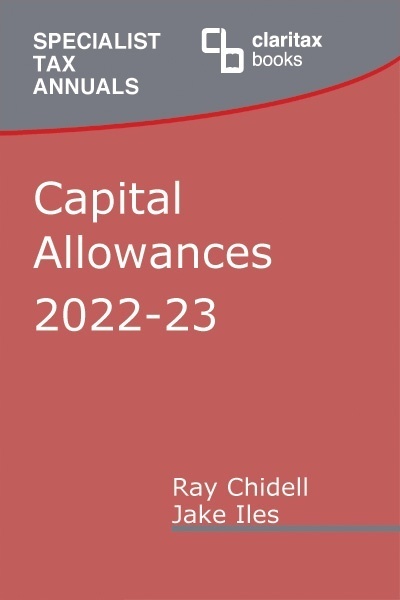 Capital Allowances contains full details of all the rules, with plenty of worked examples. The A-Z of Plant & Machinery contains over 300 explanations in relation to particular assets - showing whether or not they qualify as plant, with full reference to legislation, case law and HMRC guidance material. Save �45 by buying the two books together.